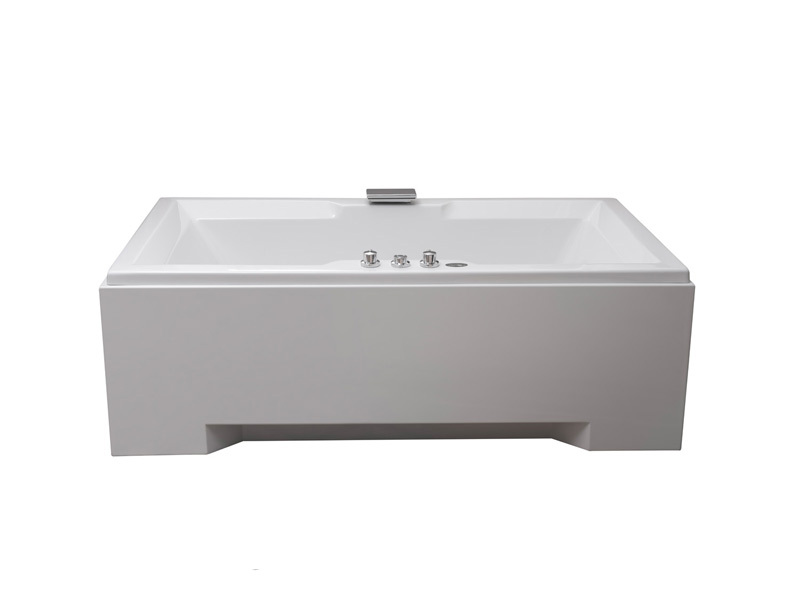 After many calls for a smaller version of the highly successful Moderno Duo Island Bath we have launched the Moderno Island. 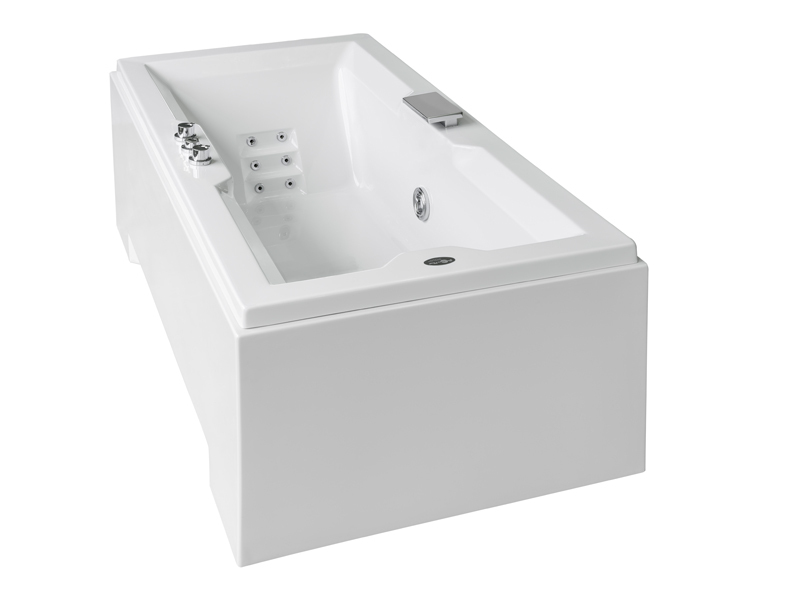 Its clear and uncluttered looks are deceptive as six recessed micro jets provide powerful Shiatsu massage to the user’s back, while 3 large centre air induction jets provide an invigorating foot and thigh massage. 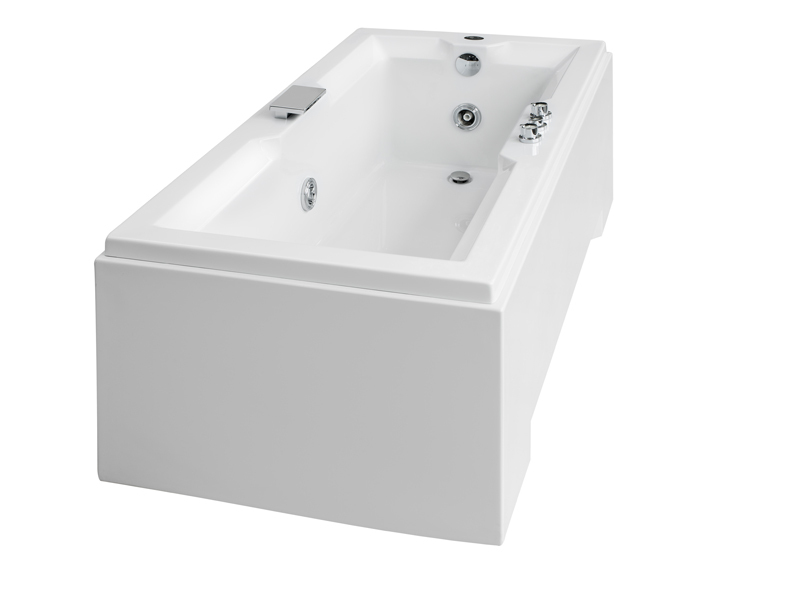 Place this island bath in the centre of a bathroom or against a wall.All island baths can accommodate taps on the deck of the bath.